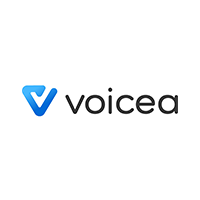 Voicea is an AI technology company based in Menlo Park, CA. Voicea focuses on the utilization of AI technology to harness voice in the workplace, connecting meetings to the rest of your collaboration systems. This is done by offering EVA; the enterprise voice assistant, to both individuals and the enterprise. EVA listens and takes notes, and automatically provides those notes so your meetings can be activated. With Voicea you can turn talk into action anywhere.